Varsity runners laced up their spikes at Oak Ridge Park in Washington, IL for the St. Jude Classic. Spartans heard the sound for the start of the race many times on Saturday as they competed in a flighted meet. There were 8 races in total (4 boys and 4 girls). The meet began with the top runner on each team running their race and then a trickle down system began from there. The next 3 races for boys and girls consisted of only two runners from each team until all 7 runners had competed in their race. Highlight of the meet: 7th grader Michael B. tracked down two opponents during his flight and finished in second place. He was rewarded with a personal record for his efforts. The whole squad was back for the Washington Middle School Invite at Washington Park on Tuesday. Our student-athletes braved the heat of over 90 degrees and still came away with some strong performances. Most notably, our girls varsity had a strong pack together finishing very close in time. Spartans look to continue that trend in the coming races. Highlight of the meet: Abby L. finished first for our Varsity Girls team while achieving a huge personal record time. 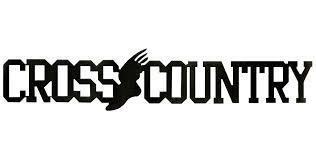 OMS Cross Country is back in action at 4:30 P.M. on Thursday for a meet against Illini Central Middle School. Go Spartans!